Lake Charlevoix NOAA Indoor/Outdoor Pillow Map. 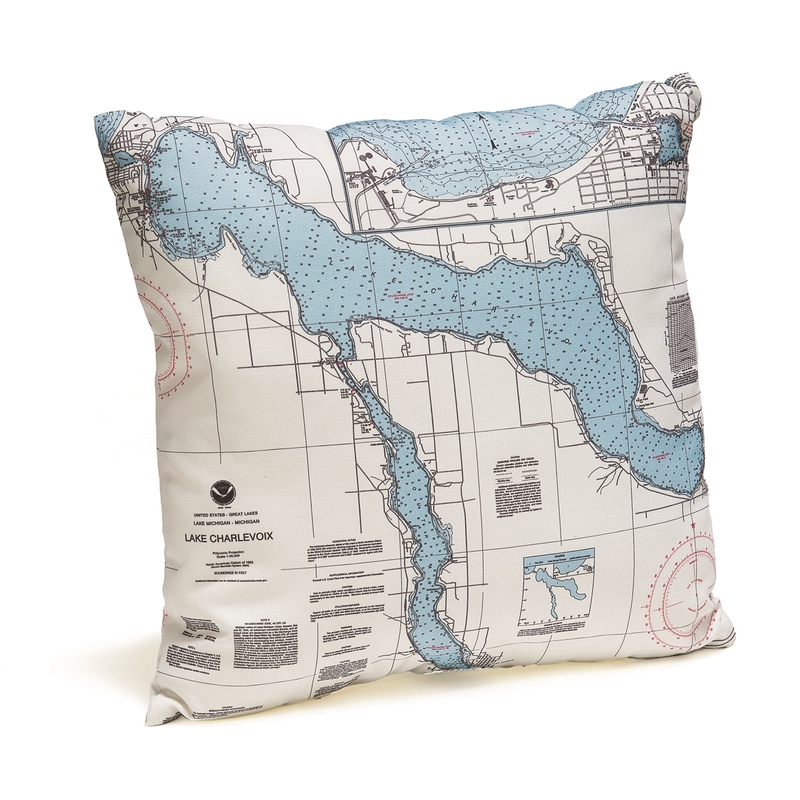 Bring indoor comfort outdoors with this Lake Charlevoix nautical map throw pillow. Great for the patio, lounging by the pool, the beach or a great accent for your living room or boat.